Click on the Mercer Chiefs tab for their calendar of events! Congratulations to the 2019 16 National AYHL Champions with Coach Chris Barcless! A huge congratulations goes out to Ross Colton, a lifelong Mercer Chiefs player, for signing with the Tampa Bay Lightning of the NHL. Huge congratulations Ross! Spring Session 1! Click to sign up! Check back for details soon! Our Tier 1 independent Mite program! Clint Mylymok and Brandon Gotkin Head Coach & Asst Coach of the Maryland Black Bears, of the NAHL, are training the Mercer Chiefs monthly! Click to register! Classes are Monday and Thursday mornings! Join our Learn-to-Play program! Click to sign up! The Hamilton Huskies, our Tier 1 Independent Mites program, is looking for top players at the Mite level to compete in full ice competition across the Tri-State area! We have been successful in the past with some great talent that has easily transitioned into our Chiefs Tier 1 Squirt programs! - 10-20+ full ice games. - Two practices per week including skills clinics three times per month with Chris Barcless, Ice Land’s Hockey Director and 07/08 Chiefs Head Coach. - Five Showcase Tournaments (18-20 games guarantee!) in the East Coast Development Hockey League (ECDHL). - Participants must have AAU insurance. Tryout dates coming soon! Stay tuned here and on Ice Land’s website for more information. Ice Land is proud to announce that the Princeton Youth Tier 2 program will be the primary Tier 2 tenant out of Ice Land for the 2019-20 season. From Tier 2 mites to midgets, Princeton Youth will play their Tier 2 teams out of Ice Land and Hobey Baker. The Mercer Chiefs will still operate their Tier 1 program (Mites to U18). The Mercer Chiefs family has grown exponentially this year with the addition of the Maryland Black Bears of the NAHL and the Youngstown Phantoms of the USHL. New and exciting things are just getting started and we are very excited to continue growing and expanding our programs here at Ice Land including the addition of Princeton Youth and their Tier 2 program! All skaters interested in playing Tier 2, after the Tier 1 tryouts at Ice Land, we hope will play for the Princeton Youth Tigers. Princeton Youth tryout information will be posted on the Princeton Youth website as well as the Ice Land website as it’s available. As always, thank you for your continued support of Ice Land, the Mercer Chiefs and now, the Princeton Youth Tigers! Learn-to-Play Camp - New this summer! New for this Summer! Learn-to-Play camp with hockey director Chris Barcless! We are very excited to bring this camp to Ice Land this Summer and we are hoping to be able to offer it additional weeks! Camp will include on ice drills, game play and skills! Click below for more information and to register! This is NOT a Learn-to-Skate camp. Skaters need to know how to swizzle forward and backward. Some knowledge of c cuts and crossovers is a plus! Full gear is required. Learn-to-Skate Summer Camp at Ice Land! We are excited to announce our Learn-to-Skate Summer Camp at Ice Land this summer! Our ice skating camp is designed for the complete beginner to freeskate (LTS USA levels) skater (age 4+) who wants to learn how to skate, discover and practice new and exciting skills both on and off the ice, make new friends and have fun! Beat the heat and join us at the 'coolest' place in town! Skaters will be busy all day - both on and off the ice - with many activities! We hope they learn to love the ice, just as much as we all do! Summer Hockey Academy at Ice Land! 2019 Ice Land Hockey Academy - Midget AAA/Tier One & Two Juniors Off-Season Training Program run out of Ice Land! Our focus is on complete player development and exposure for this important time in a player’s path to college/pro hockey! Our program is tailored for individual player skill, strength and mental development in a team environment. It is called the off-season for a reason! Our goal is to make sure every athlete leaves the off-season a significantly better hockey player, with a better plan for the following season. There is a new club in town! Ice Land is proud to announce our new skating club - The Skating Club of Ice Land! We are so excited to start this new adventure at the rink! Welcome to the rink Skating Club of Ice Land! New Learn-to-Skate start Friday, March 29th and/or Sunday, March 31st. Missed the first classes? No worries. You can easily do a makeup on one of the other days! Head over to www.ice-land.com/learntoskate to register and for more information. We also have Totsicles on Monday and Thursday mornings and Tot Stars Skate and Create on Wednesday mornings! Use the 'skating tab' above to click around for more information! Mercer Chiefs Player Signed to Tampa Bay Lightning in the NHL! The Mercer Chiefs family and Ice Land congratulate Ross for signing to play for the Tampa Bay organization and we couldn’t be prouder! We can't wait to see him on the ice! Mercer family now owners of USHL Franchise! The Mercer Chiefs own a franchise in the EHL and the Maryland Black Bears of the NAHL and now also the Youngstown Phantoms in the USHL (the ONLY Tier-1 Junior league in the United States). Please see the information below on the Tier-2 and Tier-3 Junior landscape. The Chiefs separate ourselves from all youth organizations with a clear path to college and/or professional hockey. The Junior Hockey News ranked the best Tier-2 and Tier-3 Junior Leagues in North America, ratings were based on the 2017-18 season and how teams/league move players on to the NHL, College, USHL and/or Major Junior programs in Canada. To no surprise, the NAHL was chosen as the best Tier-2 league in North America and the EHL as the best Tier-3 league. "The NAHL is simply light years ahead everyone else. No other league comes close to matching the player marketing of the NAHL. From very well executed events, an incredibly active stream of player marketing, to a propaganda department like none other. The NAHL simply out works every other league when it comes to moving players on to higher levels." “The EHL, was once again the top producer of NCAA prospects at the Tier III level. The EHL also continued to move players on to Tier II when those opportunities were presented. The EHL lead all Tier III leagues in NCAA D-3 and D-2 placements. Be the best at one thing and you don’t have to worry about what anyone else may be doing." Chiefs’ affiliate acquires NAHL and EHL Junior Hockey Franchises Hamilton, NJ – An affiliate of the Mercer Chiefs has acquired the rights to franchises in the North American Hockey League (“NAHL”) and the Eastern Hockey League (“EHL”) to begin play in the upcoming 2018-19 season at the Piney Orchard Ice Arena in Odenton, MD. The NAHL and EHL programs will recruit nationwide for both teams, but priority and preference will be given to Mercer Chiefs players. NAHL and EHL draft camps will be held at the Ice Land Skating Center this summer. NAHL and EHL tryout camps and dates will begin in May 2018. Dates and locations will be announced shortly. New dehumidifiers for both rinks! Two brand new dehumidifiers were dropped off at the rink on May 8! They were ordered back in January and after much anticipation, have finally arrived. This will solve many of the issues we currently have in Rink B with the old system including fog, water leakage, moisture and not being able to see in or out of the glass. To say everyone at the rink is very excited about the new dehumidifiers - is an understatement! Iceland and the Mercer Chiefs are excited to announce Robert Broderick as the General Manager. Rob Broderick has served as President of the New Jersey Rockets and Managing Director Midget Program and Head Coach of U18 team. He has coached with the Rockets for the last 14 years. He is the head US Scout for Ottawa Junior Senators in the CCHL. Rob was drafted by and played for the Sioux City Musketeers of the USHL and he was captain of his ECAC hockey team his junior and senior years. Over the past fourteen seasons, his Rockets teams have averaged thirty wins per regular season and his teams have made the playoffs every season in the AYHL and USPHL. Prior to joining the NJ Rockets, Rob was the head coach of Team Carolina, with that team being the first in the organization's history to win the AAA Regionals. Click photo to register for Chris's camp! calendar on the Mercer Chiefs page. Tryout info is posted on our website. Be sure to register for tryouts! Click here for tryout information! Tryouts are coming! Registration is now open for 2019-2020 season tryouts...sign up and tell a friend. You can find all the information regarding dates, location and fees at bit.ly/2IsGewz for 8U, 10U and 12U tryouts and bit.ly/2tvr1AE for 14U, 16U and 18U tryouts. Click to register for classes! Ice Land Skating Center opened its doors in the early 1990s and has been providing the community with a place to enjoy ice related competitive sports and recreational activities for many years. 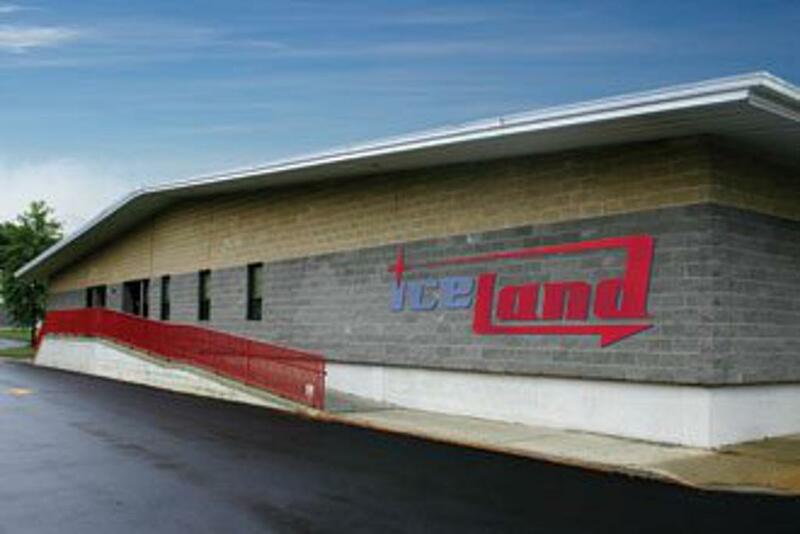 Ice Land's current owners purchased the facility and business in early 2018 and are firmly committed to the support and advancement of youth athletic programs in the region. It is the overall goal to make Ice Land the premier ice skating facility in the area with its mission to provide disciplined, competitive and fun hockey and skating programs to teach and to nurture the potential budding hockey and figure skating stars of the future. Additionally, the owners want to provide a venue to promote fun and physical activities for both adults and children out on the ice with a variety of in-house leagues, clinics, figure skating, Learn-to-Skate and open skating for all to enjoy. Plans for the future include remodeled locker rooms and the expansion of existing hockey and skating programs to meet the needs of our valued customers. New happenings around the rink include brand new rental skates, 2 brand new dehumidifiers in each rink, remodeled bathrooms and lobby, Chippy's Café (Korean fusion and traditional snack bar fare) and Shore Hockey Shop West at Ice Land - our new and remodeled pro shop! The future looks bright at Ice Land…come see for yourself and enjoy the fun while you are there!